I am writing this post to create a place where you can find all the questions you might have about shampoo bars! I’m making it a free post so those who bought the e-book or e-zine can read it, and I will update it as I answer more questions. I will only be answering those that were emailed to me or posted as a question on the blog in the comments or in this post, Shampoo Bar questions, share them here! I will not be answering anything sent by Facebook Messenger as it’s just too much annoying work to use that program. I’ll have a link to this post pinned to the right hand side of the blog where you see the other things are linked. Here are the types questions you’ll find in this post. Please note, if you aren’t a subscriber, most of the links won’t work for you. If you’re interested in becoming a subscriber for as little as $1 a month, click here! DON’T USE 100X OR 200X ALOE VERA IN YOUR SHAMPOO BARS – NEW! WHEN CAN YOU USE THEM? HOW TO USE THEM? NEW – HOW DO YOU STORE YOUR BARS AFTER USING THEM? OTHER INGREDIENTS WE COULD ADD? Proteins, extracts, powders, cetyl alcohol, conditioning things. WHY DON’T I PRESS MY SHAMPOO BARS? AND HOW CAN I MELT SCI WELL? Where to find formulas on this blog? If you’re a subscriber, please do a search for “shampoo bars”. 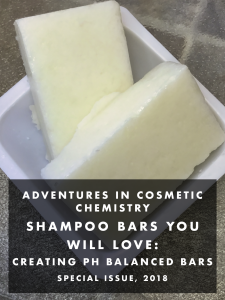 This is the most recent series about shampoo bars I’ve written, and you can find all kinds of information about modifying them to suit your hair type and climate! If you’re not a subscriber, you can find my e-book or e-zine on the topic in the shop for the blog. Where can you find conditioner bars on this blog? If you’re a subscriber, do a quick search for “conditioner bars”. Your bars should be hard enough to be dropped and remain solid. If they aren’t, here are a few ideas on what to do. I suggest putting your shampoo bars into the freezer, especially in summer. I can remove my 120 gram (4 ounces by weight) bars in about an hour, but you can leave them in as long as you wish. They should be solid when you pop them out of the molds. No matter what, leave the shampoo bars to sit on a counter for 24 to 48 hours to allow the water from the liquid ingredients to evaporate. Room temperature is 20˚C or around 70˚F. If it’s warmer than that in your home, the bars may not be completely solid for a while. Leave them out for the water to evaporate as I mention above, or store them in a cool place for a bit. Humidity will affect your bars, especially if you’ve been using glycerin, sodium lactate, or another humectant. If you can, get your bars into a room with a dehumidifier or air conditioner or into the fridge or freezer for a bit. The sodium lactate in the formula is not optional. This hardens the bars. You can go as high as 5% with this ingredient. If you have the powdered version, please dissolve it in the liquid surfactant. 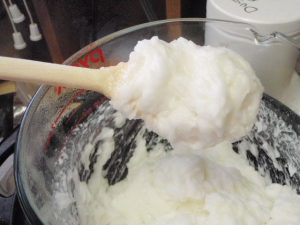 You can add stearic acid or a butter to harden the bar, but this will reduce the lather, foam, and bubbles. Take a look at a formula for dry hair that adds stearic acid at 3%. 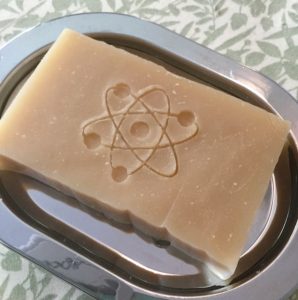 If you’re a $5 subscriber or higher, visit the October Q&A as there’s a great conversation going on over there between Sima and Charlette about experiments they’re doing with stearic acid and shampoo bars. You can reduce the liquid surfactant by up to 10% and replace it with more SCI. I mention this a few times in the e-books. This means you’d subtract 10 from the amount of liquid surfactant – so if it’s 20%, reduce it to 10% – and increase the SCI by 10% – so if you have 30% SCI, you’d now have 40% SCI. The downside of this is that the bar may be more draggy on your skin or hair, so make a small batch and keep very good notes about what works. BUT YOU DON’T WANT BRITTLE BARS! You want the bars to bounce when they hit the floor, not shatter, so you don’t want to have the hardest bars in the world. Try small batches of the formulas I suggest and let them sit out for 24 to 48 hours. Then try them. DON’T USE 100X OR 200X ALOE VERA POWDER IN YOUR SHAMPOO BARS! This is an enormous amount of aloe vera. 1 gram of 100x aloe vera powder is equal to 100 grams of aloe vera. 1 gram of 200x aloe vera powder is equal to 200 grams aloe vera. So adding 1 gram of 100x aloe vera powder to 100 grams of shampoo bar means you have added the equivalent of 100 grams of aloe vera to 100 grams of shampoo bar. Adding 1 gram 200x aloe vera powder to 100 grams of shampoo bar means you have added 200 grams of aloe vera to 100 grams of shampoo bar. This is a serious problem, and will result in your bars being incredibly soft. Aloe vera contains a lot of electrolytes, which can interfere with the electrical charges of the surfactants. Add a bit too much and a thick liquid surfactant will fall apart quite easily. Imagine what adding the equivalent of 100 or 200 grams to 100 grams of shampoo bar will do. You can use them the moment they come out of the freezer, but they won’t last as long as those that sit for a bit. With my bars, I get my hair wet, swipe the bar over my hair, lather it up – it’s super bubbly and lathery – rinse, and repeat. (I have oily hair, so I need two washes.) Don’t lather it up in your hands then apply that to your hair as you’re losing out on the creamy goodness! In the October Q&A, Sima asked: Hey everyone, just a question on Shampoo and Conditioning Bars. Was wondering what you do after you have used a your shampoo or conditioning bar on your hair? What do you place in on, do you wipe it dry, do you air dry on a soap dish, how do you store them after use? Charlette suggested: Actually I just have it in a small ramekin container. The important thing is to drain any water from shower out of it, stand it vertically in the ramekin, remove it from the shower and set on vanity to dry out until my next shower. I just leave mine in the soap dish or the place where I’d put soap in the shower. I don’t do anything special, I just leave it there because I’m a slob who can’t be bothered to make the effort at times, I admit. For my travelling or gym bag, I have one of those portable soap dishes. I try to leave it open when I get home or when I’m done with them, but sometimes I forget and they get a bit squishy. Please read the directions on how to melt the SCI with the liquid surfactants and follow that process to melt these together. This works to melt the ingredients very quickly. I know other bloggers make other suggestions, but this is the method that’s worked for me since I started making these in 2006. If you’re using powdered SCI, you don’t need to heat it as it’s easy to mix it with other things. It will still work, and it would be quite nice for someone with very dry hair as this version would be very mild. If you want to use sodium coco sulfate (SCS) instead of SCI, please read the section below on pH or read the section in the e-book about that. Before July, I’d never heard of anyone using melt & pour soap to make shampoo bars, but now they’re everywhere, like this soap that has these solid SCS or SCI noodles. I don’t recommend this method as the bars you make this way with either have an alkaline pH or they won’t harden properly. This isn’t a product I made. I was sent this picture by someone asking a question about these products. If you see a recipe that contains melt & pour soap, you will be making a bar with a final pH that’s above pH 7. Almost every melt & pour soap I’ve ever encountered – including the SFIC shea butter base on Amazon that’s being recommended by some groups – is a soap, meaning it contains saponified oils, which means it’s alkaline. It cannot be not alkaline as it stops being soap when the pH drops to 7.5-ish or lower. This is why it is gooey and mushy and won’t harden if you throw some citric acid into it: This cannot exist at an acidic pH. If someone claims they can make a pH balanced melt & pour shampoo bar – ask for this information and ask for pictures of each step with exact measurements. What was the pH when they started? How did they measure it? How did they test the pH? Ask for a picture of the pH meter or pH strips with at least 3 testing areas on it. How did they alter the pH? Ask for exact measurements in grams or percent, and ask exactly what they used – for instance, 50/50 citric acid/distilled water. What was the final pH? Again, ask for pictures of the pH meter. 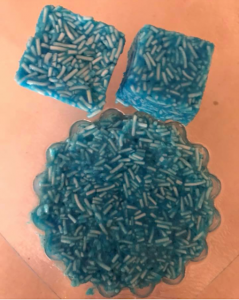 Please check out this discussion on Chemist’s Corner about using M&P soap and reducing the pH, and check out this SDS which shows the pH level of 8.5 in section 9. There is a melt & pour shampoo bar base from Stephenson called Crystal SS that they say can be used as a shampoo bar base. Click here to see the data bulletin, including pH and such. You can add things to this base to make it more hair friendly, like conditioning agents like polyquaternium 7, panthenol, hydrolyzed proteins, and up to 5% oils or butters. I haven’t used it and it will still have an alkaline pH, but you can increase the mildness of the product by adding a few things to it. Check out this post on the Chemistry Store for more information. As a general rule, when adding something to a shampoo bar…. If it’s a solid ingredient, compensate by taking that much from a solid surfactant. So if you add 3% stearic acid, you’d remove 3% total from either the SLSa or SCI. If it’s a liquid ingredient, compensate by taking that much from a liquid ingredient, like the surfactant. 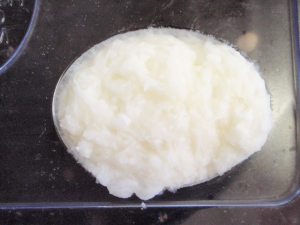 If you add 2% more liquid hydrolyzed protein, remove 2% from the liquid surfactant. OTHER INGREDIENTS WE COULD ADD? No, it’s not necessary. You could add a fatty alcohol – cetyl alcohol, cetearyl alcohol, or behenyl alcohol – if you wished as it can act as an oil free emollient, bar hardener, and conditioning booster, but it can suppress foam, lather, and bubbles. Try it at up to 3%. Remove 3% from the liquid surfactant if you’re trying to make the bar harder or remove 3% from the SCI if you’re just adding it because you like it. Yes, you can totally use any other waxy type conditioner in place of the BTMS-50, including behentrimonium chloride or BTMS-25. As a note, if you have fine hair, you can easily replace the Incroquat BTMS-50 with some of the positively charged or cationic polymers you find in this post. like Honeyquat or polyquaternium 7. Just replace the Incroquat BTMS with one of these liquids, then reduce the liquid surfactant by the same amount. If you use 3% polyquaternium 7, then remove 3% liquid surfactant. As for hydrolyzed proteins, you could divide it up in a few different kinds, or you could add more and reduce some of the liquid surfactant by the amount you add. So if you add 2% more liquid protein to the bar, remove 2% from the liquid surfactant. If you really like them, use two or three. So you could use 2% hydrolyzed oat protein, 2% silk amino acids, and 2% hydrolyzed baobab protein. This means you have 6% total, so you’d have to remove 4% from the liquid surfactant. 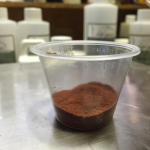 In this post, I was asked a few times about using Ayurvedic powders. 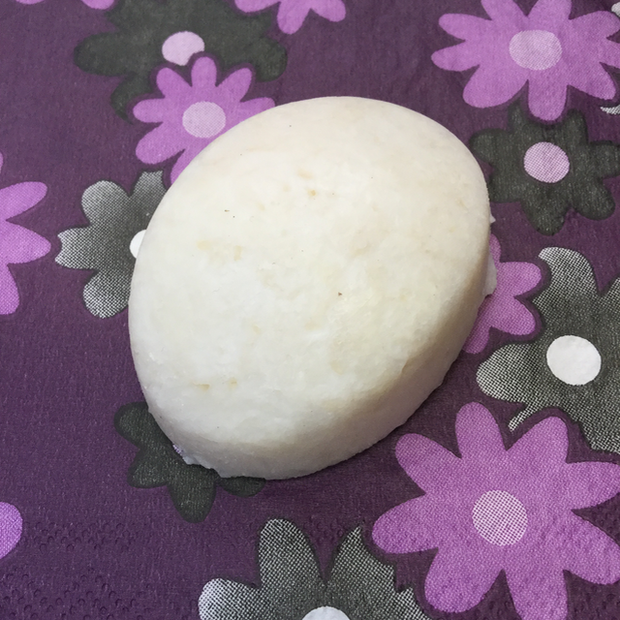 I have never tried these ingredients, so all I can suggest is that you follow the guidelines I’ve shared in these two posts about using extracts in shampoo bars. Make sure you preserve any bar with extracts well as they are more likely to be contaminated than those without. WHY DON’T I PRESS MY SHAMPOO BARS? I don’t press my bars, I melt them. I use a lot of liquid ingredients in my products or waxy ones that need to be melted. If I pressed mine, there would be little pellets of Incroquat BTMS-50 that would do nothing for your hair. Everything needs to be melted and mixed together so your hair can benefit from the ingredients. Plus, if you press the bars and leave the noodles intact, how can you adjust their pH? They’ll be little pH 9 to 11 noodles pressed with stuff that might be pH reduced. You can’t press my bars, you have to melt them. See above. If you prefer pressed bars, then my formulas probably aren’t the right ones for you. See above. Reduce the heat so it’s not splashing into the container, add your SCI and other surfactant ONLY in a glass container, and heat until melted. If you’re using prills, it should only take 5 to 10 minutes at the most. If you’re using noodles, it might take longer. If you’re using powder, it isn’t necessary to heat it at all! Before we get to more about pH and why it’s important, please read this post Q&A: Why do people use apple cider vinegar rinse after washing with alkaline products? Why not just make the shampoo bars with very low pH? as I go into alkaline products, using soap as shampoo, and what happens when we use alkaline products on our hair, such as damage and colour fade. Anyone who tells you it doesn’t matter doesn’t know enough to know they’re wrong. Oils don’t have a pH. I saw someone saying coconut oil has a pH of 3.5 to 5 so it’ll bring down the pH of a shampoo bar made with SCS. It won’t. pH doesn’t exist without water, and oils don’t have water in them. So they won’t impact the pH. If the bar contains sodium coco sulfate (SCS) as the main ingredient – even as low as 10% – it’s highly unlikely it will not be in the right pH range for hair. It has a pH of 9.5 to 11, and we want the bar to be pH 4 to 6. Someone said Stepan makes an SCS that’s pH 7, but I’ve never seen it for sale at any of my suppliers. If you see a recipe made with SCS, ask the writer what the pH is. If you want to use SCS, you have to alter the pH. If someone claims their pH is balanced, ask them for the initial pH, how exactly they altered it and how much it took to alter it, and the final pH. I take pictures of my results, which I’ve shared all over this blog. You cannot test the pH of a bar by putting a bit of water on it and laying a litmus strip on it. 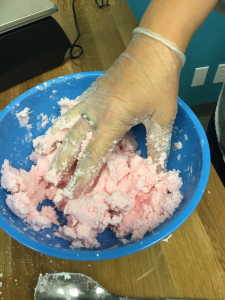 You cannot test the pH of a bar by lathering up your hands and putting a litmus strip on it. If you’d like to know more about pH from a scientist, check out this post on Unicorn Chemist’s Facebook page. I quote Jane Barber of Making Skincare from this post on my Facebook page. My opinion of pH strips is all over my groups and website. Most strips, like home microbial test kits, are pretty useless. Not worth even using. But, I did come across some pH strips in my tests which gave a vague indication, these are the ones sold by lotioncrafter which come in 0.5 units, 3 colours each unit. If someone really has to use pH strips then those are the ONLY ones I’d suggest. Ideally formulators should really use a calibrated meter, especially for formulas which are pH sensitive, like those using varisoft EQF65, carbomers, polymeric emulsifiers, surfactants and esters which can hydrolyse at certain pH levels, organic acid preservatives etc. 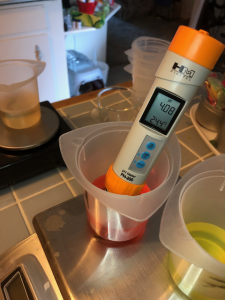 How to test the pH of our products and more! Do you need to alter the pH of your product? 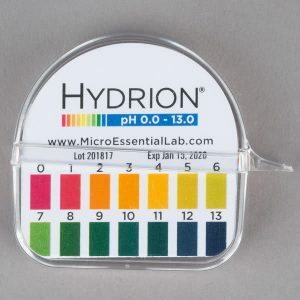 Can I use pH strips? Can I use a meter? If you’re a beginner, I really don’t suggest trying to alter the pH of a bar. It’s not easy, it’s kind of a pain in the bum, and you have to not only get a good meter, but you have to learn how to use it, how to dilute the shampoo bar, how to titrate the acid, and so on. If you really want to do it, then check out the pH section of the blog. I suggest creating bars using sodium cocoyl isethionate (SCI), which are pH balanced, while sodium coco sulfate (SCS) is not. It’s like learning how to drive a standard car. You’re learning how to drive, which is all new, and you’re learning standard, which is hard. Learn how to drive, get good at it, then learn how to drive standard. Finally…I’m done talking about handmade soap as shampoo. Again, alkaline shampoo will damage your hair. The only people who argue that it won’t are people who use soap on their hair. I’m not joking about this. It never comes up in non-soaping or science based groups because no one wants to use soap on their hair. If you want to use it, use it. I don’t show up in your soaping conversations talking about how great my surfactant based body wash is and how you can use it as toothpaste or deodorant, so please stop bringing it up when I talk about shampoo. I don’t make soap and this isn’t a soaping page. I’m not saying you can’t have conversations about soap on this blog and this isn’t a slam on soap as a well made bar is really lovely, but I’m tired of having it intrude on every single discussion about shampoo bars. Here are some scientific resources on pH and how it affects hair. I’m not joking when I say I could fill an entire 100 page e-book just on this topic. Here are just a few things I think are interesting and helpful. The Shampoo pH can Affect the Hair: Myth or Reality? CONCLUSIONS: Alkaline pH may increase the negative electrical charge of the hair fiber surface and, therefore, increase friction between the fibers. This may lead to cuticle damage and fiber breakage. It is a reality and not a myth that lower pH of shampoos may cause less frizzing for generating less negative static electricity on the fiber surface. Interestingly, only 38% of the popular brand shampoos against 75% of the salons shampoos presented a pH ≤ 5.0. Let’s make some soy candles!